Elementary school taught you ROYGBIV and complementary colors. Now you know design is more than colors, shapes and letters—it’s a language. More than ever, companies and agencies need graphic designers fluent in technology to create designs that evoke feeling. Everywhere you go, design surrounds you. Further your creative education at the top graphic design schools in America. Equipped with the latest technology, newly renovated studios and workshops, and talented professors, you’ll build a portfolio at these colleges that’ll land you your dream job. Let us help you narrow down your search with the top 10 graphic design schools across the nation. BU knows graphic designers need practice. The graphic design program focuses on a studio-driven approach that lets students explore other realms of design like photography and foundation sculpture. Undergrads share communal workspaces and can access computer labs equipped with Adobe Creative Suite. BU also recently renovated their design spaces. Get in with that new new, with a brand-new 808 building graphic design facility. The new grad studio is 10,000 square feet with communal studios and personal studio spaces, two classrooms with LCD projectors and critique walls, the latest printing facilities and a new seminar room. 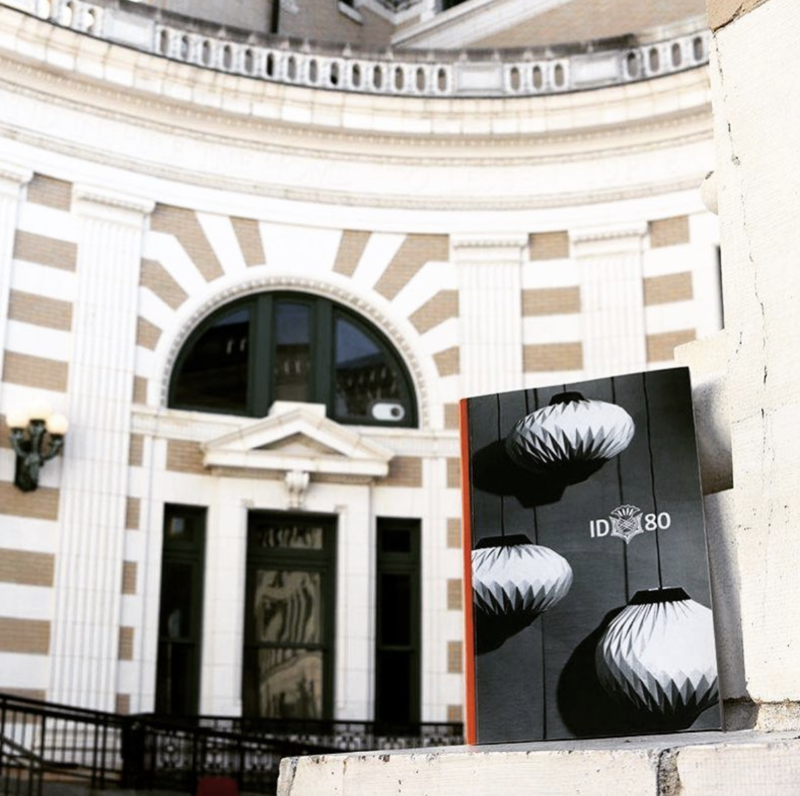 After studio time, students can get involved in AIGA and explore the Boston design community through local art museums. Want to integrate your graphic design with other disciplines? Get in on EPIC (Engineering Product Innovation Center), a facility that offers laswer cutting, 3D printing and more. Fine-tune your portfolio before applying to RIT’s graphic design program. Only 173 students make it into this graphic design major. Once accepted students learn about information design, web and interaction design, branding and identity design, design systems, exhibit and wayfinding design, and user experience design. 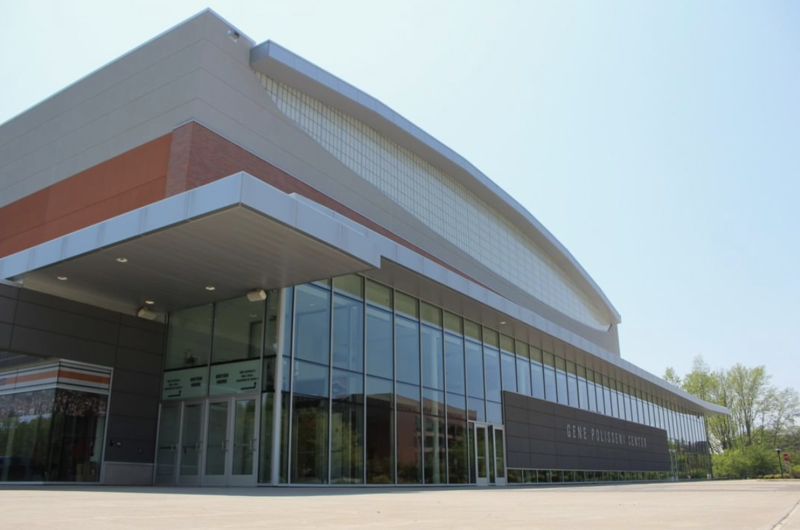 Plus students get access to RIT’s world-renowned Vignelli Center for Design Studies. Students can also use center houses office and study rooms, then stroll by Bennett Gallery which shows off Vignelli’s work. RIT also houses The Cary Graphic Design Archive and Cary Library. Today the library holds 40,000 volumes of manuscripts and collections about the development of design. As for the aspiring designers of RIT, last year students won the national Paperboard Packaging Alliance competition. And getting involved outside of the classroom is easy with The RIT Job Zone. It connects students with internships, co-ops and freelancing experiences with anyone from small-scale agencies to top 500 Fortune companies. RIT also aligns students with organizations like the Rochester Regional Coalition Against Human Trafficking to design collaborative projects exploring social, ethical and environmental impacts of design. Learn the ins and outs of graphic design immersed in the heart of New York City. FIT students can major in traditional graphic design exploring typography, language and design in a cultural context. Or they can opt to major in a specific design degree like Advertising and Digital Design, Exhibition Design, Packaging Design and even Toy Design. Participating in one of these programs will advance your versatility in navigating various publication and media platforms. In the curriculum, students tackle projects with advanced typography, editorial design and environmental graphics like signage and media. Outside of the classroom, students intern with companies like Addison, Audible, Elle Magazine and Landor Associates. Students also get the privilege to partner their work with MoMA, Pentagram and the Art Directors Club. Many of their designs regularly win top-honors in international and national competitions like the AFT International Contest and the Abingdon Theatre Poster Contest. Contrast your competitors and stand out from the crowd at FIT. Get down to creative business at Yale University. Yale wants its art students to understand art in a broad sense before tackling a specific medium. Undergrads earn a B.F.A. in art then choose to focus in graphic design or another medium. And before they even get into a major, they must complete a sophomore review, where professors evaluate their work from five introductory courses. Students who focus in graphic design learn the communication of the medium in time, motion and sound, as well as interactive and web design, and the art of printed word. Each student gets designated personal work spaces in the design studio loft. The All School Lab facility includes digital production resources like wide format printing, scanning, laser jet printing and moving image production. Students also get access to bookbinding materials, a RISO duplicator and a Vandercook letterpress. And exceptional students can take graduate level courses with the professor’s permission. Meet me in St. Louis—for a top-notch graphic design program. WashU aspiring graphic designers can earn a BFA in Communication Design or a BA in Design within the Sam Fox School of Design and Visual Arts. Students get involved in the community, working to address systematic challenges through design for social impact with WashU Design for America. This organization groups together design students to work with organizations like the Criminal Justice Ministry and the Starkloff Disability Institute to come up with design tech solutions. WashUCity brings design students to University City High School, where they develop a curriculum and mentor aspiring creatives in graphic design. The University City Public Art Series gets students creating site-specific work for temporary instillations in University City. Island Press, WashU’s research-based printmaking workshop, lets students work with professionals to design, concept and produce projects in printmaking. Outside of the classroom, students build portfolios and flex their entrepreneurial skills. Bear Studios connects talented undergrads with freelance opportunities. It also works with major clients like Cleveland Clinic on design services. WashU seniors must complete a capstone project before graduation. All these portfolio pieces come together to help WashU students land leading jobs in the graphic design industry. Pull quotes, palettes and typeface never seemed so intriguing. Students in the graphic arts program at CalArts learn web and interface design, motion graphics, print and publication design, branding, identity, type design and design history. “The faculty truly cares about its students in every way, offering state of the art classes and emotional support. The best and brightest talent from around the world attend this shining oasis,” recent CalArts graduate Ginger Morgan said. The small, critique-based classes allow students to get the most out of their educational experience. CalArts students can access studios 24/7, including the MacLab, Photo Lab and Print and Media Lab. At recent Intern Recruitment Day, 101 employers showed up from Guess, Hasbro, Metro Los Angeles, Stahl + Band, Venice Arts, Framestore and more. All those connections lead alumni to dream careers. Amanda Lui works as a graphic designers with Walt Disney Imagineering. CalArts alum Bijan Berahimi and Cameron Ewing work for Facebook. And if the corporation life doesn’t sound like your thing, follow in the footsteps of Penny Pehl Moore and James more, founders of Tenderling. Draw your inspo from these successful alum who started at CalArts, just like you. Explore the future of graphic design at The New School Parsons in New York City. As a graphic design student you’ll master the foundations of design working in print, online, typography, web design and publication. Or take your studies a step further with a degree in communication design or integrated design. “I learned how to put my gift, and love of all things creative to work; to organize my thoughts, define my style and theory, challenge myself and compete, fail and succeed and find my identity at Parsons. This place is a part of who I am,” recent Parsons graduate Anne Waters said. Students can put their skills to practice at the Parsons Making Center, getting access to resources like open space studios, a printmaking and book arts studio, photo labs and more. Clubs such as the Type Directors Club allow you to compete with your work, giving you a try at the professional work force. And it pays off. Graphic design student Avery Youngblood won Beyoncé’s Formation Scholarship. And communication design grad Joan Wong designed the covers for the Crazy Rich Asians book series. Want to learn about how Parson grads and successful graphic designers made it? Parson’s brings in fresh perspectives from visiting speakers such as blogger Tina Roth-Eisenberg and cognitive psychologist Alan Gilchrist. Make your graphic design dreams come true in the Big Apple. All this prep sets up Carnegie Mellon alumni to create the images that make up images you can recall in an instant, like the Starbucks logo, Pinterest Interface design, the title sequence of Spiderman and the typefaces of The Guardian. Carnegie Mellon doesn’t just set its graphic design graduates free and wish them well. They help students find these jobs at Confluence, CMU’s design job fair, where students network with representatives from Google, Facebook, Apple, Microsoft and other leading corporations. So don’t be so surprised when you find out that a CMU alum designs the next Mac background.